Zenmate VPN vs SurfEasy VPN vs Zenmate VPN vs SurfEasy VPN 2019 - 5 Tests, 1 Winner! 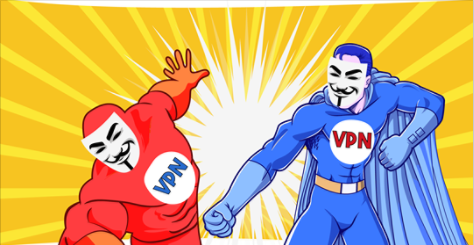 When we take a first look at these two VPN services, we find that they seem to be quite similar. Both services score high on the number of features they offer and both are relatively easy to use. SurfEasy is stronger on the pricy side when compared to Zenmate, as it doesn’t record any of the websites you visit. SurfEasy has 5 years of experience and offers features like Torrent Protection, IP hiding and unblocking websites. Zenmate VPN is available for all browsers and systems, including Google Chrome, Opera and Android, to name a few. It is cheaper, but does offer a premium package that gets you server turbo speeds. Both SurfEasy and Zenmate are rich in features. However, when it comes to pricing, Zenmate VPN takes the lead. On the other hand, SurfEasy VPN balances off the equation with its ease of use. Best VPNs for Torrents Both VPNs support torrenting or P2P sharing on specific servers, yet SurfEasy has dedicated servers specifically optimized for this purpose. Both VPNs support torrenting or P2P sharing on specific servers, yet SurfEasy has dedicated servers specifically optimized for this purpose. Best VPNs for Windows Both VPNs are rich in features and offer user-friendly apps for Windows. Both VPNs are rich in features and offer user-friendly apps for Windows. Best VPNs for Android Whether you choose SurfEasy or Zenmate, you get an all-around Android app which includes many great features. In addition, you can also set up any of these VPNs manually on your Android device with tutorials available on the comapnies' websites. Whether you choose SurfEasy or Zenmate, you get an all-around Android app which includes many great features. In addition, you can also set up any of these VPNs manually on your Android device with tutorials available on the comapnies' websites. Best VPNs for Mac The Mac apps for both SurfEasy and Zenmate are pretty similar when it comes to security features. Both include public wi-fi protection and an easy-to-use interface. The Mac apps for both SurfEasy and Zenmate are pretty similar when it comes to security features. Both include public wi-fi protection and an easy-to-use interface. Best VPNs for iOS Not all VPNs offer a dedicated app for iOS devices - instead you’d have to set it up manually or download a third-party app. However, both SurfEasy and Zenmante offer sleek and user-friendly apps for iOS with multiple features and strong security capabilities. Not all VPNs offer a dedicated app for iOS devices - instead you’d have to set it up manually or download a third-party app. However, both SurfEasy and Zenmante offer sleek and user-friendly apps for iOS with multiple features and strong security capabilities. Best VPNs for USA Zenmate has a broad network of servers, including 74 servers spread across the US. SurfEasy VPN has servers in 20+ countries, including numerous servers in the US. Both give you the ability to access content geo-restricted to the US. Zenmate has a broad network of servers, including 74 servers spread across the US. SurfEasy VPN has servers in 20+ countries, including numerous servers in the US. Both give you the ability to access content geo-restricted to the US. After looking thoroughly into these two clients, we found that both services offer good features, are easy to use and have a pretty reliable support system. Zenmate offers better support when you buy their premium package, so don’t expect too much if you've chosen the basic package. The only category in which these two are found wanting is the price-quality ratio, as they aren’t the cheapest services. I would say that Zenmate VPN is the winner here, as it is slightly cheaper than SurfEasy, while offering the same quality product.